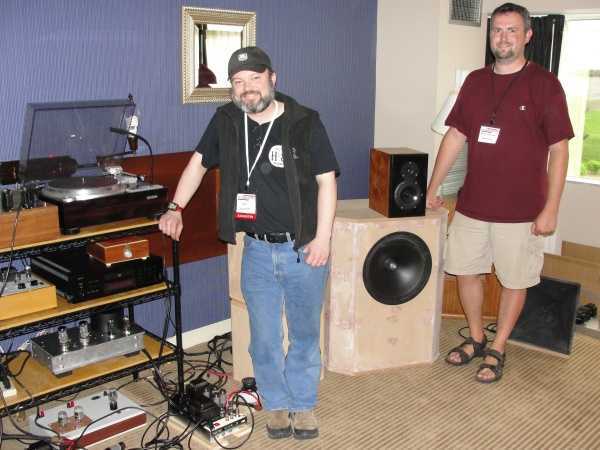 On May 1st and 2nd, Audio Karma hosted their 7th annual audio show - affectionately and commonly known as AK Fest. Audio Karma is an audio group based in Michigan with upwards of 200 paying members. I don't think one can form reliable sonic impressions regarding the quality of a piece of audio gear in a few minutes. So I will reserve most of my impressions, and share only the strongest ones - with the caveat that they are probably not extremely reliable. How many products were making their North American or Worldwide debuted at this show. A lot of Mac books used as music servers. No, the AK Fest is not named after me! 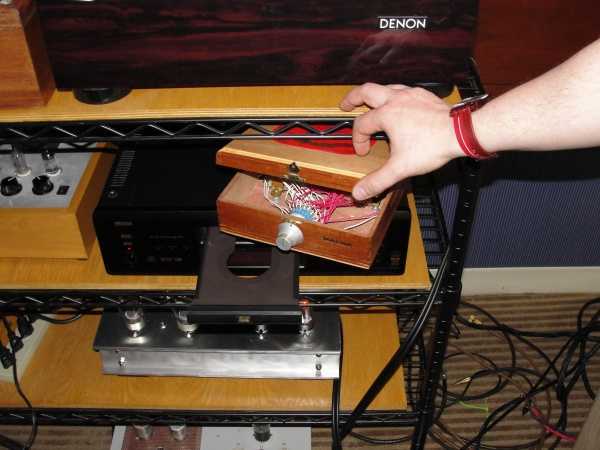 • and a Grant DAC09 Dac with volume control. A source was not included in the price - a bit disingenuous don't you think? 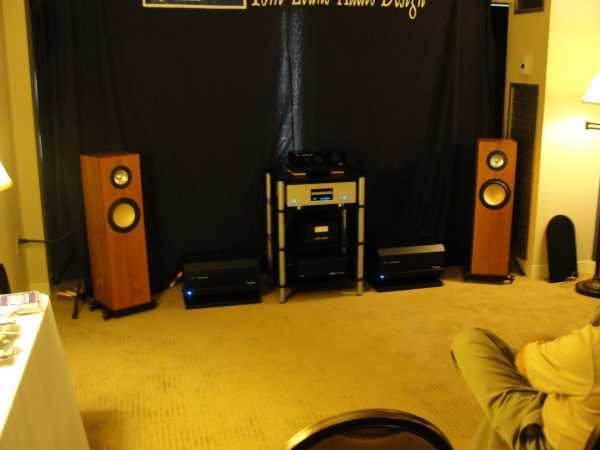 Also in the Grant Audio room was the beastly looking Jungson JA88D integrated amp: pure class A, solid state, 80wpc... and this also includes a MM/MC phono stage. The MacIntosh-esque blue meters are provided gratuitously, but I'd rather do without them. 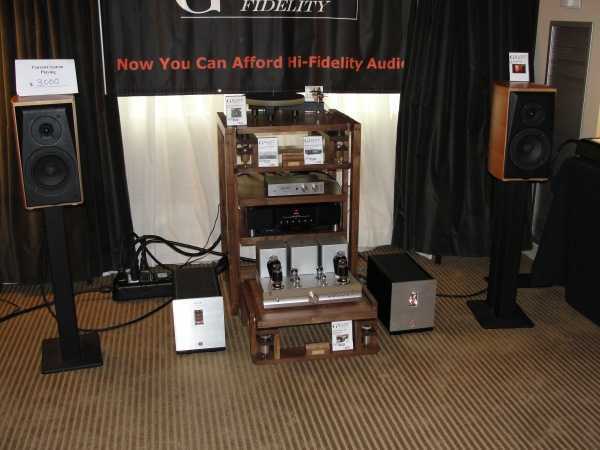 All for only $1600 direct from Grant Audio, a beast indeed! I walked in and I couldn't help but sit right down. Lush, wide, deep and detailed - I could have stayed all afternoon. 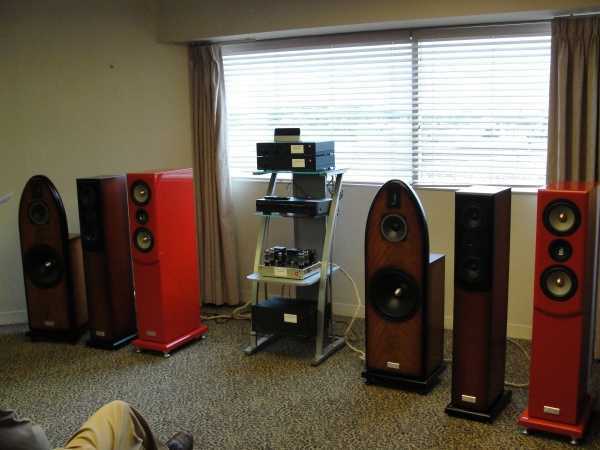 The source of my beguilement was the Parker Audio Excalibur. This features a Heil tweeter and an unfiltered 10" driver that naturally begins to roll off at about 5khz. Their Catapult subwoofer was also present and performing. 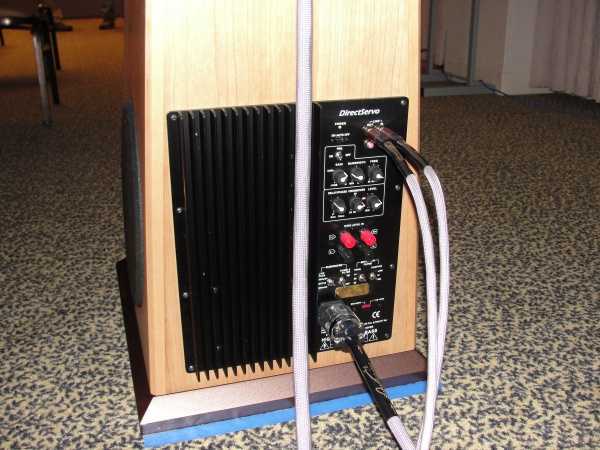 Upstream was a homemade SET amp and tube buffer, Camelot Uther DAC, Genesis Timelens and Parasound CD player as transport. I'll be completely honest, I did find excuses to spend some more time back in this room a few more times during the show. 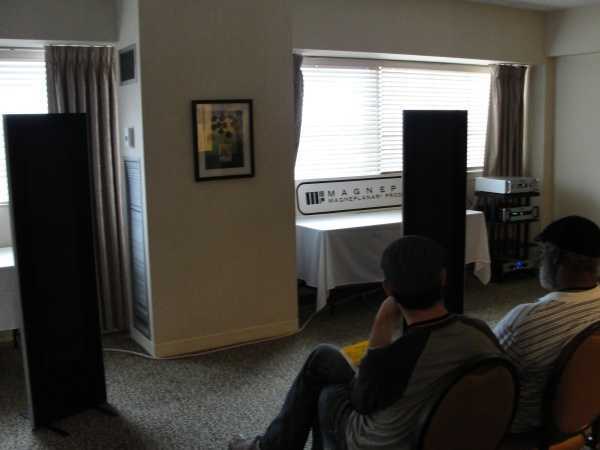 The $895 Nate Audio TS monitors were very impressionable. I fell for the trap and asked where the subwoofer was hidden, to which the smug reply was "If you can find a subwoofer you can keep it". 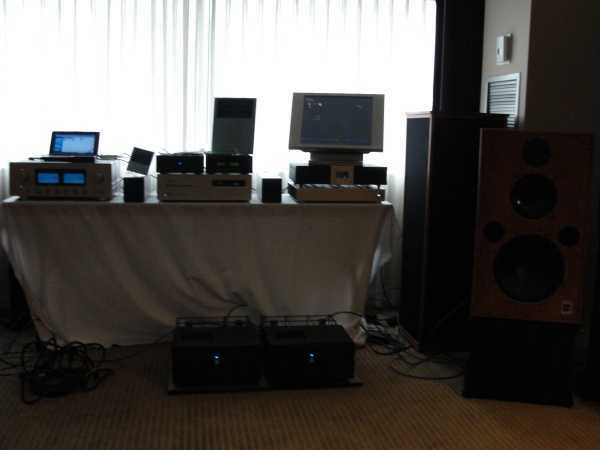 The monitors were driven by the Van Alstine Ultra+350 hybrid amp, the Van Alstine Avastar preamp, Van Alstine Vision EC DAC and an Oppo disc player as transport. • Fritz Carbon 7 monitors - $1,750 . • Korato KVP10 preamp, with a dual mono configuration and separate power supply. • Oppo BDP83SE, modded by ASI tech, sitting own its battery power supply. • Bel Canto DAC 3.5, with volume control. • Bel Canto Reference 150S amp. • Bel Canto VBS1 power supply. 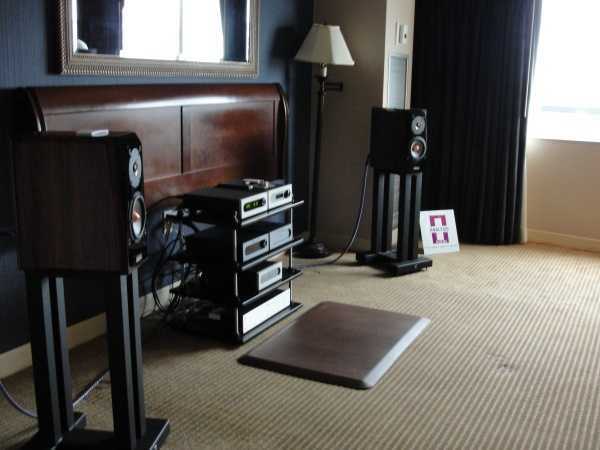 • Rega Osiris integrated amp, 150wpc. 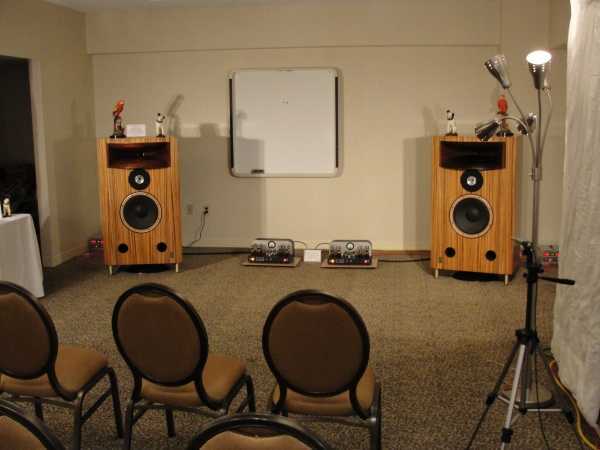 Madisound had a room with many of their speakers assembled and on display. • The diminutive Nola Tripod prototypes expected to retail for $199. 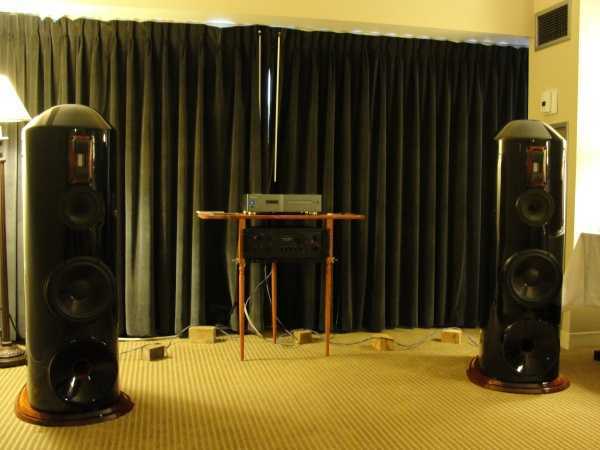 I have experienced very small speakers before and have been fooled by their performance initially, and then on closer and lengthier the warts are revealed. And I have developed a mechanism of cynicism whenever I seem small speakers performing, but I have to admit in this case I was drawn in and taken by what they were doing in that room. 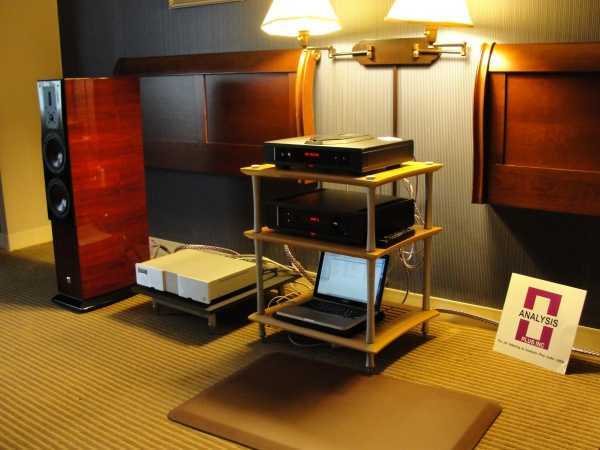 • Jolida FX10 Integrated amp, with an MSRP of $450 only! • The MBL 121 monitors, rated at 82 db/w/m sensitivity. • Initially powered by the Jolida FX10 integrated. • And then by their JD3000B preamp and JD1000RC in power amp mode, I think I did notice a bit more ease of presentation with this setup. The MBL's had an omnipresent sound, but I had difficulty placing things on the soundstage. Also, it felt as if the instruments were on a 2 meter high stage. • His own creation with a JBL 2445 tweeter driven into the hand-made wooden horn, which itself was an admirable piece of work. These were crossed over above 450hz. 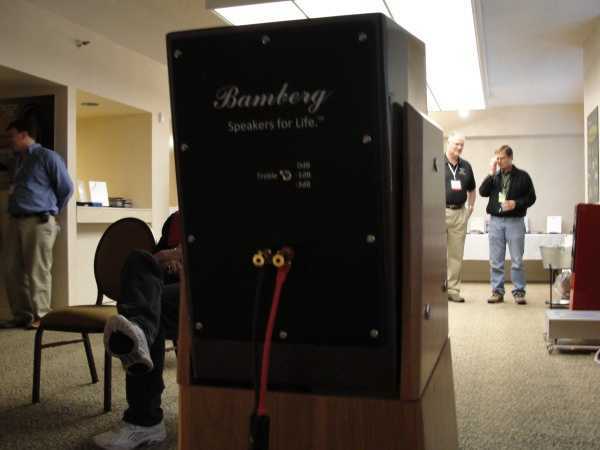 • The lower frequencies were covered by Lambda woofers, modded with a phase plug. • Hiquphon OWI tweeter, running above 3khz. • Peerless M130, down to 400hz. • and, AE TD15-M bass drivers running the rest of the bandwidth. Amplification was provided by member Ed Squidward, who enthusiastically provided explicit detail on creations. Unfortunately, it was too much for me to absorb and relay. Squidward proudly showing off the innards of his preamp. I tried this room twice and each time they were switching gear around. Eventually, I ran out of time and patience. 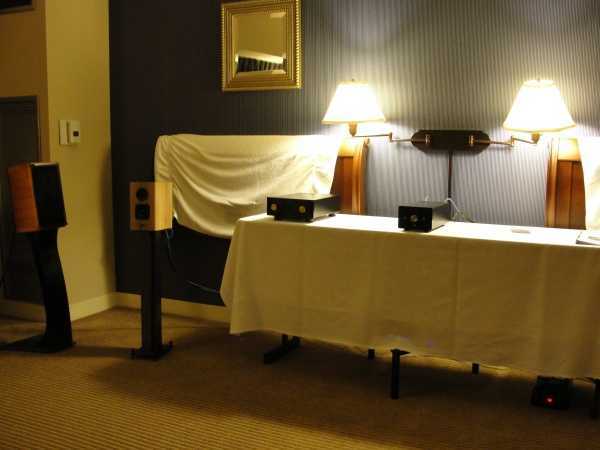 • The E/Lexus Signature speakers were placed in their Audio Note signature room corners. 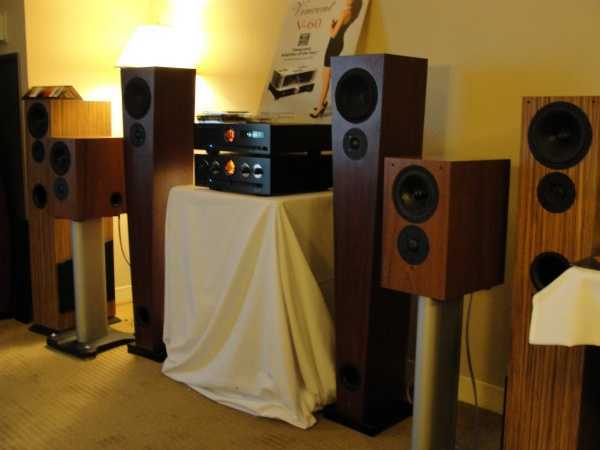 These retail for $15,500 and are rated at a 98db sensitivity. The 1" tweeter and 8" mid/bass drivers' voice coils are wound with silver wire. 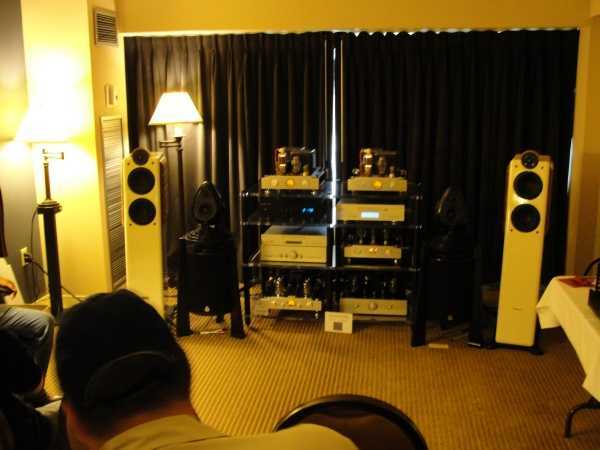 • Driving the speakers was the Jinro SET integrated amp, rated at 20 wpc and priced at $21,175 [That is awfully precise pricing, I guess they would have bled dry if they had priced it only for $21,000!!!]. • The source was their CD4.1X on its North American debut. Priced at $9,500. They had a copy of Hugh Masekela's album "Hope", and graciously played "Lady" for me. I wanted to while away the afternoon right there. • Dynaudio Excite X12, $1200. 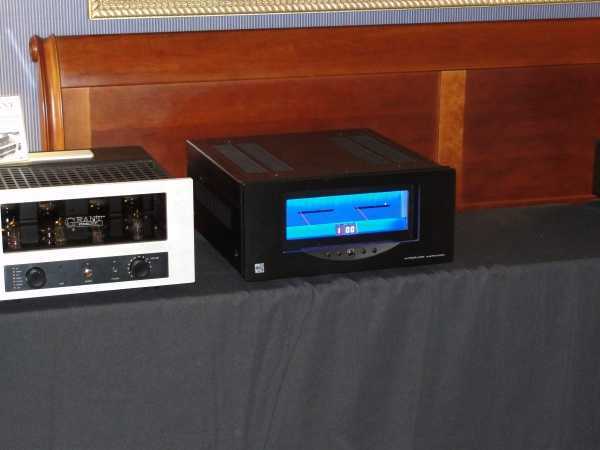 • Wadia 151 PowerDac $1200, that acts as a DAC, Preamp and PowerAmp. I am all for fewer devices, cables and connectors. At first take, the only reservation I have about this unit is the lack of analogue inputs. • Wadia 171i Transport, $379. This is the second coming of their much copied iPod docking station. 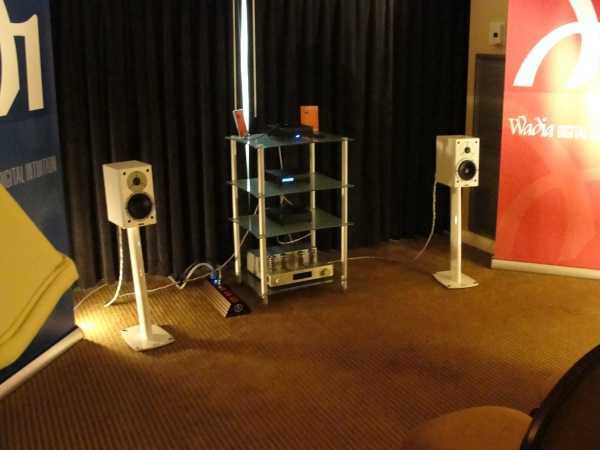 • Dynaudio Confidence C1, $7,000 for the pair and $450 for the stands. 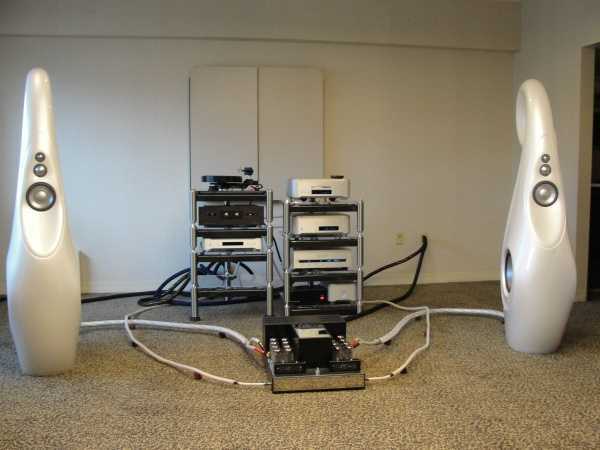 • Octaves MRE 130 monoblocks, $16,000/pair. • Wadia S7i CD player, $15,000. • Magnepan 1.7, $2,195. For the price, that detail and transparency is hard to beat. But I had a hard time getting over the 8' tall sounding guitar. 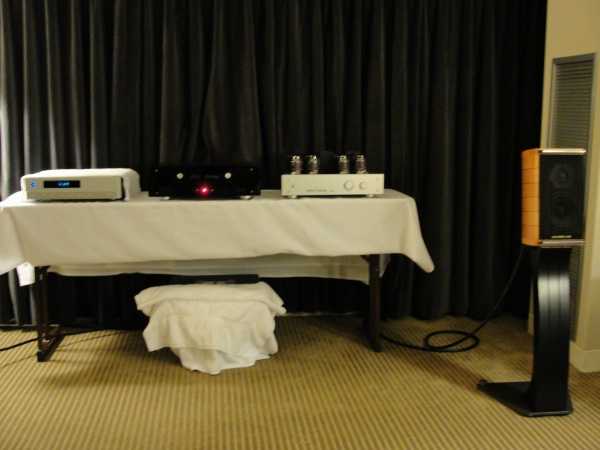 • Audio Research DSI200 integrated amp, based on their proprietary digital switching technology. $6,000. 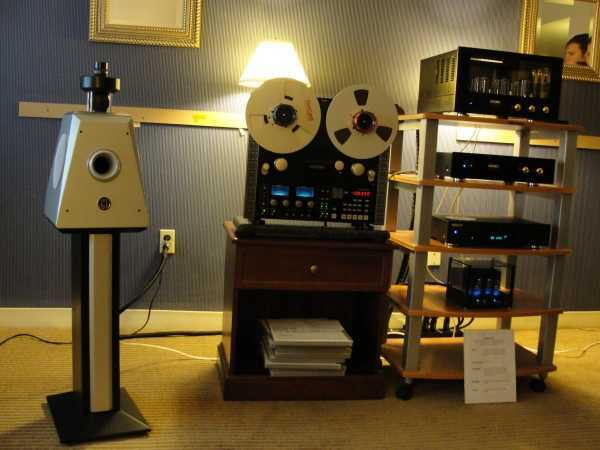 • Audio Research CD8, with tube outputs. $9,500. • PS Audio Premiere powerplant $1,795. This may have been the room with the most expensive gear. • Vivid Giya G1, $65,000. • CAT JL2 Signature MkII, push-pull class A, 100 wpc. $20,000. • CAT SL1 Legend preamp with MM/MC section. $20,000. • Brinkman Bardo turntable, Kuzma arm, Van Den Hul Colibri cartridge. • Esoteric Transport and CD/SACD and DAC. All told, the gear in this room was estimated at about $200,000. I am not sure I'd be easily convinced on that splurge, not to say that I play in that league either. 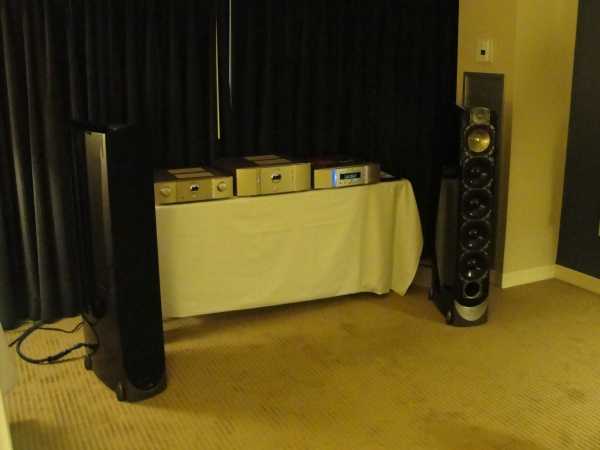 Retailer Big George hosted this room - featuring Focal and Cambridge Audio. 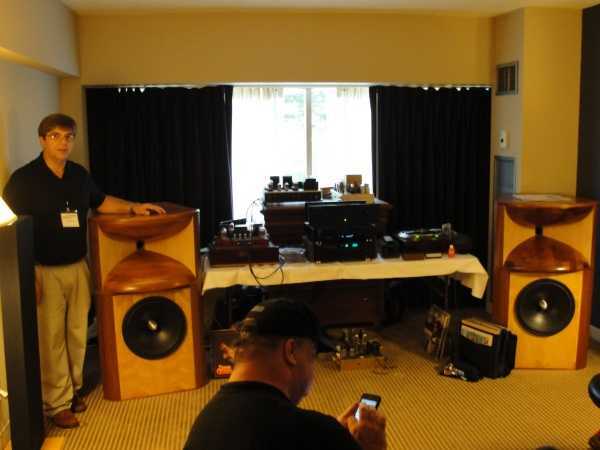 Showcasing a $36,500 pair of speakers, this room was hosted by a curmudgeonly fellow who seemed quite preturbed that I had not already heard of his wonderous creations. At that point I couldn't really stomach being there any more. 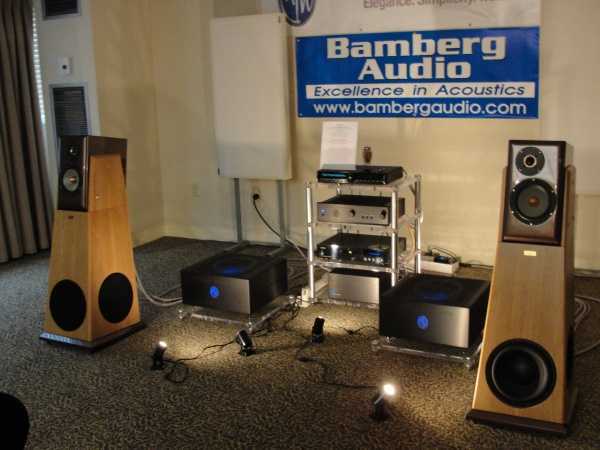 • Bramberg Audio Series 5, $8,300 factory direct. 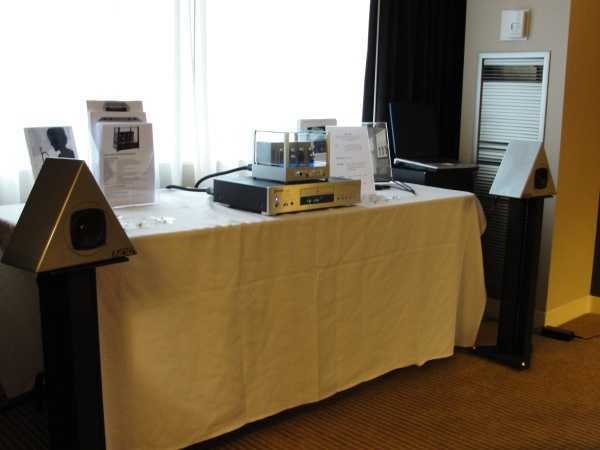 Amplification provided by ModWright Audio. • 3 way with active sub and an actively filtered monitor above 150hz, and contour switch on cabinet rear. Tweeter and mid drivers are sourced from SEAS. • The bass cabinet sports plenty of controls to fine tune the 10" active drive and two 10" drones. 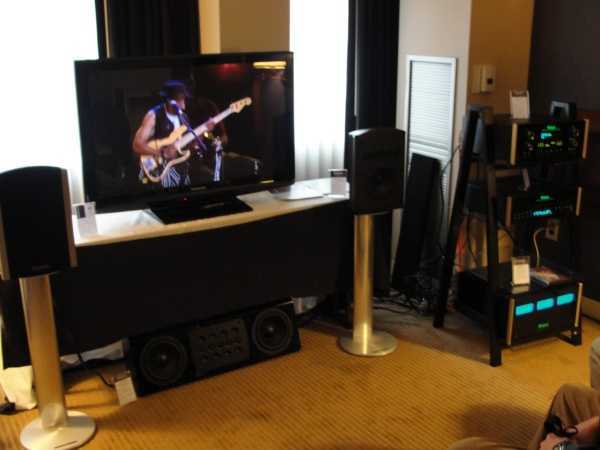 Room featuring Salk Audio speakers and Van Alstine amplification. The McIntosh room, I didn't stay longer than to take these pictures. Having not been much in the mood the last two rooms, I was begining to wonder if I was begining to fatigue and that was the source of my disinterest. Then I stepped into this room, and was floored by what these minuscule things were doing. • Dayens Audio Tizo speakers making their debut, $600. • Dayens Audio Ampino integrated amp, solid state, 25 wpc, $500 base model. • Esoteric DV50S disc player. • Arte Forma Silk, tube preamp, hand wired with silver, $2,000. 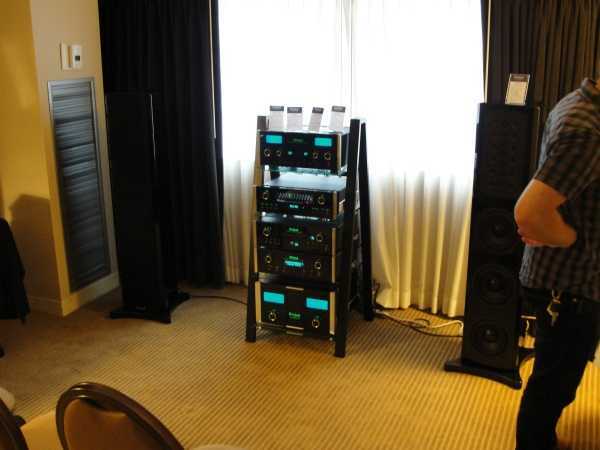 • Arte Forma 6550, integrated amp using the power section only in this display, 45 wpc, push-pull class A, $2,000. 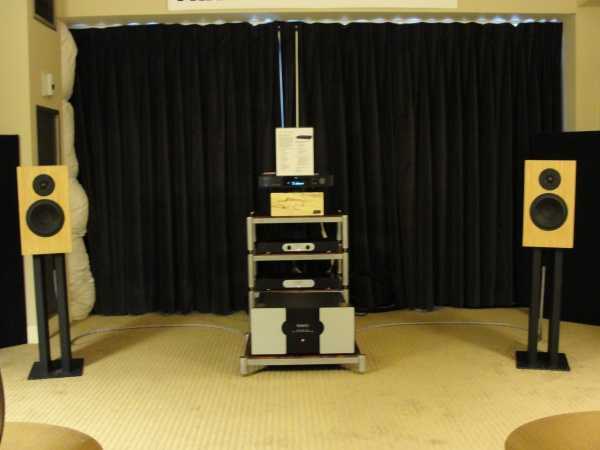 Right then and there, I have to say I much preferred the first system - with the same music and in the same room. • Marantz SC11-S1 Preamp, $3,200. • Marantz SM11-S1 110 wpc stereo amplifier, $4,500. 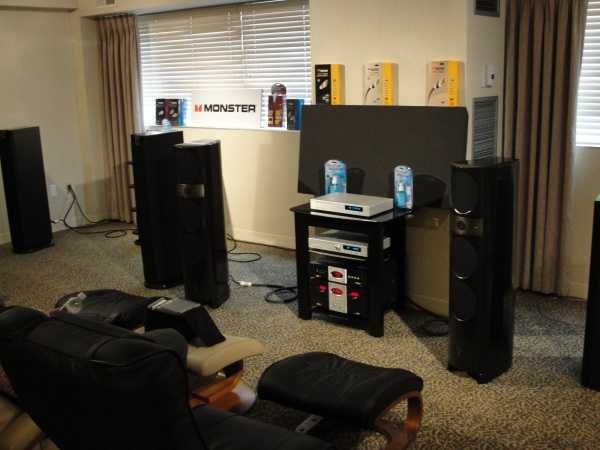 • Marantz SA11-S2 CD/SACD player, $4,600. 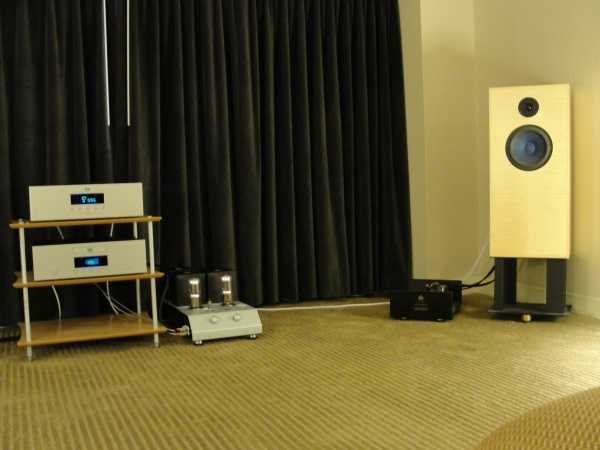 • Paradigm Reference S8, $8,800. What! These guys used to be the value champions, where did the 9k price point creep in from!!!? Oh, it must be the "Reference" appellation!!! 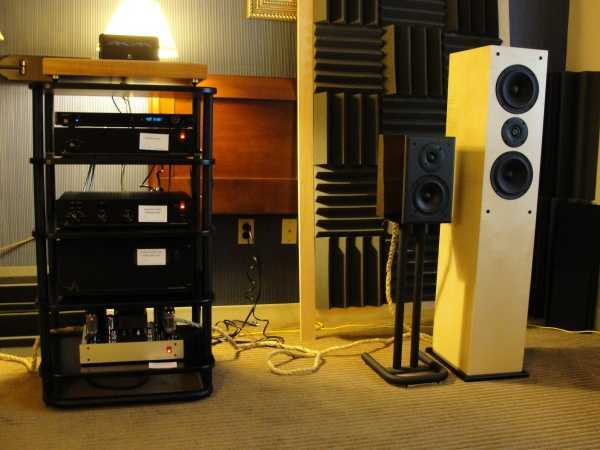 • Rogue M180 mono blocks at $5,500/pair. 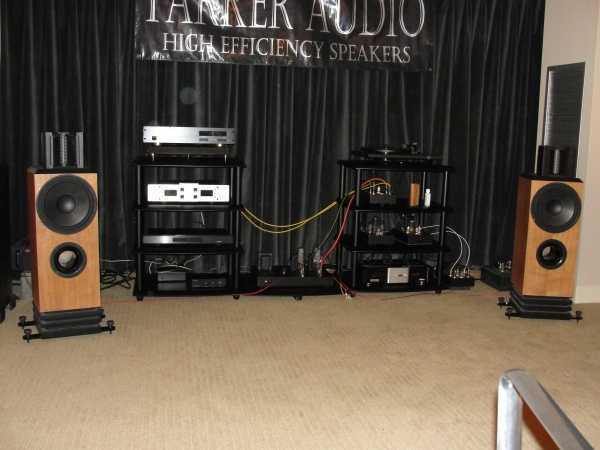 • Tom Evans Model 1 speakers at $9,250. • Tom Evans Linear B amp, push-pull 50 watt mono blocks, $17,500/pair. • Tom Evans Vibe preamp, with external power supply. $6,000. 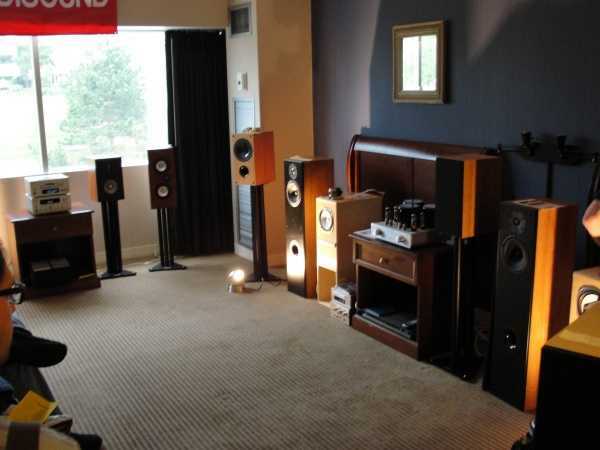 This room was all about the speakers, more so than any other room. • Bogdan Audio Petra - $17,000. Made of 50 layers of stacked MDF layers, with a minimum thickness of 2" and filled with 65 lbs of sand in each unit - all resulting in a net weight of 300 lbs each! The drivers are fastened to aluminum blocks inside the cavity, per the designer this was a cost no object exercise. 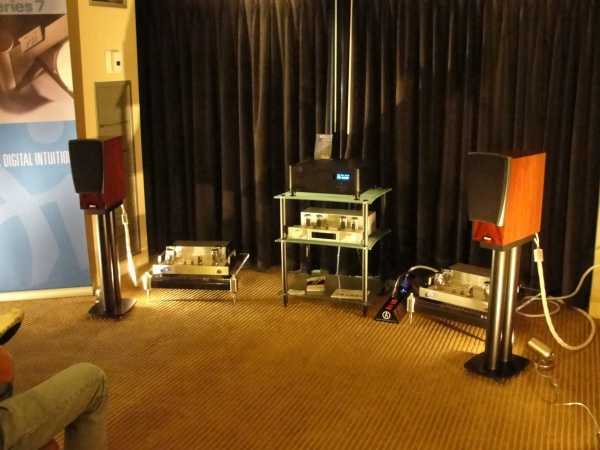 • The last room was hosted by Yara Audio and Vincent Audio.